LeBron James said all the right things after his team’s loss to the Boston Celtics in Game One. He wasn’t worried about anything, and he knew how he needed to play in Game Two. His confidence as so overbearing, it was hard not to think that the Celtics would be in trouble Tuesday night. As could be expected, James did go off and have an excellent game; a triple-double, in fact. But the rest of the team didn’t do enough to help, and the Cavaliers still lost. After scoring just 15 points in Game One, James put up 21 of Cleveland’s 27 points in the first quarter. While he cooled off a little in the second quarter, but the Cavs were able to turn their four-point first quarter lead into a seven-point one by halftime, 55-48. James ended the first half with 25-points. 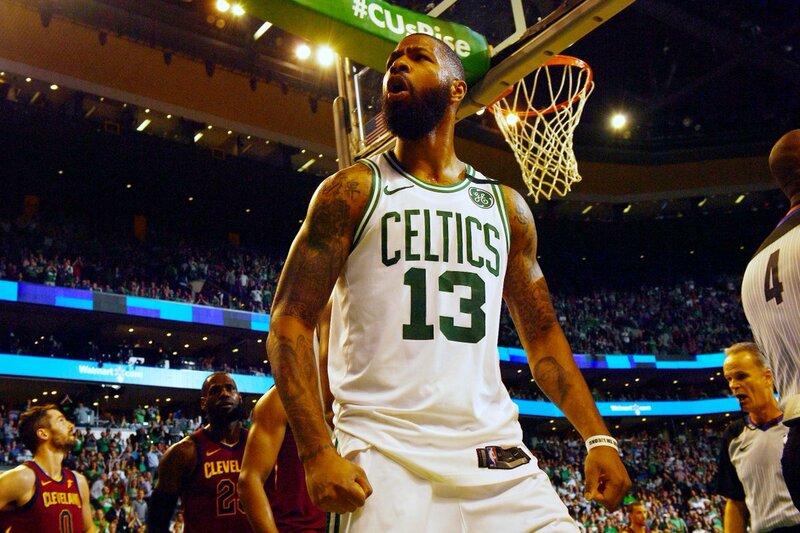 But he also gave Cleveland fans a scare in the second quarter following a hit from Jayson Tatum. He ended up missing just a few minutes after being diagnosed with a neck strain. The Cavaliers were certainly looking better than they did in Game One. But after scoring 21 in the first, LeBron only had four in the second. Was that a sign of things to come? Was he wearing down? Or was he conserving energy up for a big push in the third quarter? The third quarter was competitive early on until the Celtics went on a 13-5 to take a 74-71 lead. Terry Rozier tied the game up at 66-66 about midway through the quarter with a pair of free throws. 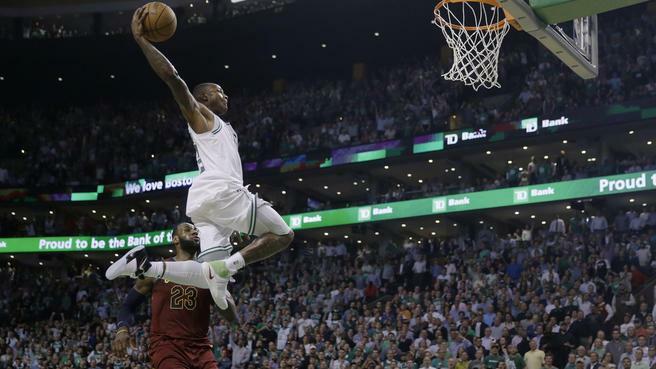 His dunk at the 4:07 mark put the Celtics up by three. Rozier ended up extending the Boston lead to seven with a 27-foot three-pointer in the final seconds of the quarter. A seven-point lead is nice, but it also isn’t hard to overcome. All the Cavs needed to do was step up their defensive game while James led the charge on offense. James managed to pull the Cavaliers within six late in the quarter. But he wasn’t enough. Celtics won, 107-94, and now the Eastern Conference Finals 2-0. James ended the game with 42 points, 12 assists, and ten rebounds. Kevin Love chipped in a double-double with 22 points and 15 rebounds. But they got little help from anyone else. The other three starters (Tristan Thompson, George Hill, and J.R. Smith combined to score 11 points. All five starters scored in double figures for the Celtics led by Jaylen Brown’s 23 points. Terry Rozier had 18 followed by Al Horford with 15 points. The Cavaliers will have a few days to figure out what to do as the series moves to Cleveland for Game Three. Tip-off will be at 8:30 PM ET Saturday night. Even though they’ve lost the first two game, the Cavs are still favored (6.5 points).